Poor Solomon is looking for some fun but no one wants to play. The dragonflies tell him to buzz off, the storks get in a flap, and the hippo? Well, the less said about the hippo, the better! But then somebody else starts causing trouble ...and for once it is NOT Solomon. Could it be the perfect pal for a lonely crocodile? 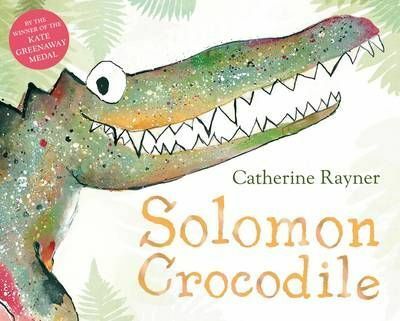 A snappy, happy, stunning new book from the award-winning Catherine Rayner.